In a recent Super Bowl advert for Pepsi, Cardi B asks us to reconsider the question “Is Pepsi Okurrr?”. “Of Course Pepsi is Okurrr” she says. The “Is Pepsi Ok?” campaign, which has also featured Steve Carell, seeks to soothe a sore spot for Pepsi, its popular designation as a second-tier cola rarely sought in itself but merely tolerated when Coke is not available. Pepsi’s ad campaign does not address taste or the physical experience of drinking of Pepsi. Instead, the ad looks at the relationship of a brand to social custom and status. What does it mean to drink Pepsi as opposed to Coke? It would mean different things to drink Coke or Pepsi because of popular and historical association, even if the flavor of Coke and Pepsi was identical. Our understanding of consumer objects extends beyond just our physical experience into a world of conceptual connotations. When we desire (or don’t desire) a Canada Goose jacket, it is not just the jacket but a conceptual image mediated by our understanding of what the jacket signifies that we desire. To some, it is a shallow, ostentatious display. To others, it may seem elegant. Not only are our judgements mediated by these conceptions, but the conceptions help us participate in a larger narrative about who one is and where they exist vis-à-vis the outside world. The post-modern episteme is one where our daily life is infected with an unavoidable hyper-awareness of narratives and associations beyond our first-hand experience. Mass media and advertising have made it almost impossible to interact with the world in a first-hand way. Just about everything comes to us neatly wrapped and curated. This condition is inescapable in post-modernity, an era of mass-media and advertising that constructs a reality outside of our day to day physical experience. Being in the world means having information force fed to you. Our opinions are inescapably shaded by popular and historical associations instead of our own first-hand judgement. What does all this have to do with a renowned and highly selective small private liberal-arts college founded in 1864 by Quakers, although now officially non-sectarian, in the suburbs of Philadelphia as one of the earliest coeducational colleges in the United States of America, currently with 1,620 students, 208 academic staff, a $2.16 billion endowment, an 8.7 percent acceptance rate, on over 400 acres with over 600 courses a year offered across 40+ majors, and 22 Division III varsity intercollegiate sports teams? Swatties live the postmodern episteme through a hyper-awareness of the lives of their peers. Any afternoon on the first floor of Cornell library, you might become privy to some of the most intimate details of someone’s personal life. Even if you don’t know them well, sitting next to some mutual friends (or other chain of relation) will result in your overhearing or being a part of a conversation that said person would almost certainly not want you to be a part of. If you spend enough time in shared spaces, like Cornell or Sharples, you will come to learn a lot about the lives of people you barely say hello to. Everything someone does until they are in their dorm room can become the subject of a Sharples conversation (and, surprisingly often, even the happenings of their dorm room are the subject of a town hall meeting). Few things, if any, are sacred and kept off the table. Social circles are so overlapping, classes so small, and spaces of shared public interaction so expansive that maintaining a semblance of privacy is Sisyphean. After all, we all live together. We often joke that Swarthmore feels akin to a panopticon, hence our talent in the “Swat swivel” because at any moment the wrong person can overhear you. Regardless of our efforts, we cannot outswim the torrent of social information that swirls around. Before interacting with someone for the first time, we have already heard about them and “who they are.” Consciously or not, preconceptions mediate our understanding of them. We are hostage to second-hand opinion; content and comfy captives to stage-managed stories. Because of this, we almost never get to meet someone with a clean slate or come to know them in a wholly unique way. People become brands. To be “John” or “Sally” comes with a whole slew of conceptual associations that fundamentally shift how we interact with them. We peg someone as an obnoxious philosophy bro, and our designation leads us to interpret all of our interactions with them in light of our own preconceptions. Beyond these distortions, spending time with specific people comes to mean participating in a particular narrative. To hang out with “that” type of a person means you are “this” type of a person no matter how flawed the collective perception of them might be. This leads to an economy of reputation that flattens human complexity into caricatures that usually do not progress beyond simple labels. The reputation does not even have to be negative. It’s possible to feel frustrated by overly positive reputations that prevent people from engaging with you as you really are. Good or bad, we can’t connect with people if there is a fundamental disconnect on who the other person is. We descend into an world of rumors and gossip that has no beginning or end, truth or falsehood, and the only sense of direction it obeys is windward. In this limbo of destabilizing images, narratives, and claims, we can slowly lose our grip on a true north, a real sense of “I.” Over time we modify our behaviour to better operate within Swarthmore’s social norms. We learn to stop resisting and let the current take us where it pleases. “It’s an evolutionary adaptation,” we say in an effort to convince ourselves that the changes we make in our behaviour are the result of authentic development. But, in reality, we have just learned to confine ourselves in order to navigate social boundaries and limitations. Our restricted selves may feel less mismatched, more ingrained in Swarthmore’s social fabric, but we cannot help but feel that something important and meaningful and innocent and sincere has been lost. We can be surrounded by people at all times, even “friends,” but ultimately come to feel utterly alone because we are acutely aware that what people understand to be “us” is not really there. The experience I describe makes no pretense to universality, but it is a feeling many friends and I shared during my two years at Swarthmore. 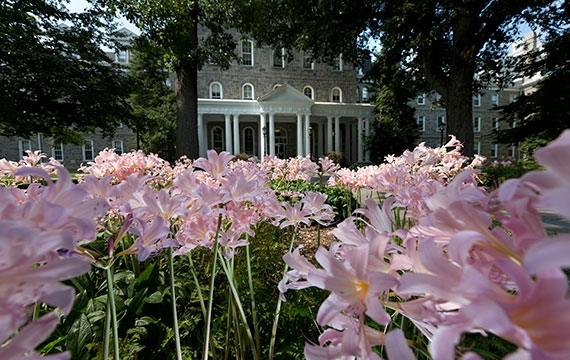 People are certainly comfortable with differing levels of publicity, and Swarthmore may be the perfect sweet spot for someone. But Swarthmore’s size does not provide any room to negotiate how public or private you want your life to be. What you are given is what you are given. Perhaps the biggest irony of Swarthmore’s proclivity towards simple sorting is that the kind of people attracted to a school like Swarthmore defy simple categorization. Just about every seemingly simple person here opens up to the world in a way that we cannot possibly predict. They are here because their perspective and experience betters the community. But, we can’t help but look for signs and signals to guide us around. Swarthmore presents us with such a palate of information, true or otherwise, to paint every character and personality that we cannot go into an interaction uncolored. Everything we get is already packaged for us — and we, through little fault of our own, swallow it whole.